Greek police on Wednesday announced the arrest of an 81-year-old art and antiquities collector, the former owner of a well-known poultry brand, after finding a number of undeclared artifacts, paintings and weapons in his home in Mandra, Attiki - among them a possible El Greco portrait. 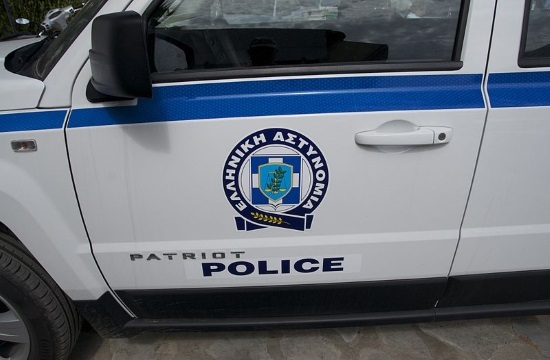 The 81-year-old businessman was arrested on February 10 in the Athens suburb of Maroussi, by Attica Security Police. He was later taken before an Athens public prosecutor and charged with violating laws on the protection of antiquities and cultural heritage, as well as weapons legislation. In a raid on the businessman's home, police found and confiscated 23 Byzantine-era icons, an Epitaphios, five vestments, 108 ancient coins, a ceramic head, 21,000 euros, a WWI machine gun, two inactive WWII mortars, seven handguns and five clips, three revolvers, a shotgun with a modified clip, a rifle with sights and silencer, as well as a variety of shells, a deactivated defence hand grenade, a night stick, knives, stilletos and swords. According to police, they are still in the process of examining the painting to confirm that it is a genuine El Greco. Their initial estimate is that the painting is actually a very good copy but this has not yet been firmly established. Police said the entire collection had been the target of a Roma gypsy gang and that they were put on the businessman's trail by information uncovered by the Marousi security police department.